If you’re in the market for a used vehicle, chances are you’ve already been searching online. You likely have a good idea of what you’re looking for, and you may already know the make and model of the car you’d like. Perhaps you’ve got your eye on a few vehicles from private sellers. 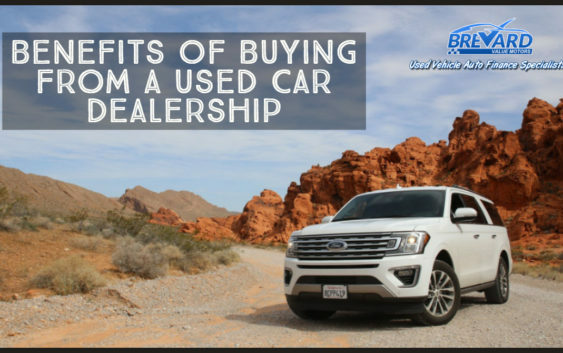 While you may be able to get a good price from a private seller, there are some definite advantages to buying your vehicle from a used car dealer. Keep reading to learn more. When you purchase a vehicle from a private seller, you can’t know for sure the previous maintenance that the owner completed to care for it. Used car dealerships take the time and spend the money to have their cars serviced and ensure that they’re tuned up and running smoothly. Most used car dealerships provide the option for you to purchase extended warranties on their vehicles. If something happens to your vehicle after a certain number of miles not covered by the normal warranty, and was not caused by you (the new owner) this extended warranty can come in super handy and save you tons of money. Additionally, you may be able to purchase an extended service contract that allows you to have the car continually serviced by a reputable company used by the dealership. Purchasing a car from a private seller is a much more involved process than buying from a used car dealer. You’ll have to work out meeting times to see the car, take it for a test drive, and when to meet up for payment if you decide to buy it. To ensure you’re getting a good vehicle, you’ll want to have it looked over by a mechanic, and you’ll need to complete all the paperwork necessary to transfer titles, etc. Visiting a used car dealership cuts this process by allowing you to shop available cars, test drive them on the spot, and sign paperwork the same day if you decide to purchase, saving time and effort. Many banks will not finance cars sold by private sellers. That’s because a private seller does not have their reputation on the line and therefore may not adequately disclose the vehicle’s condition. Financing options are limited when buying from a private seller. When you choose a used car dealership, you open up more financing options that allow for flexibility and manageable payments. Whether you’re looking for a used car for your teenage driver, or a new set of wheels for your traveling adventures, buying from a used car dealership is a wise decision. Get rolling and visit a local dealer near you today!